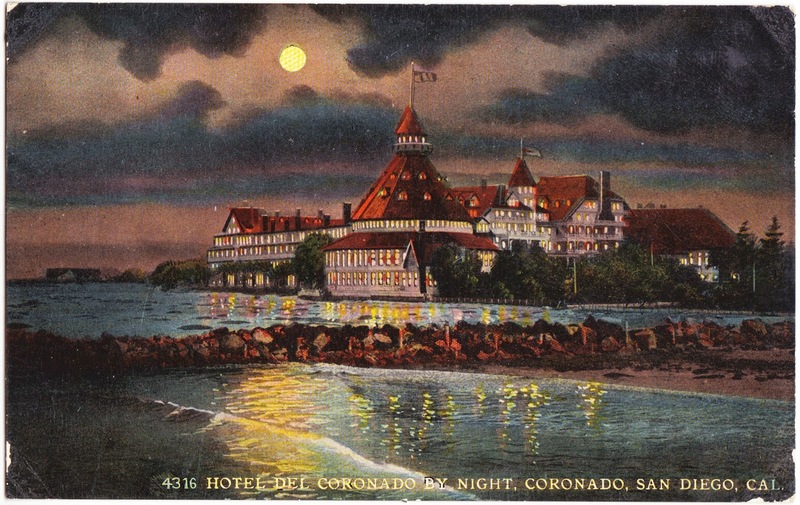 This vintage postcard shows the famous Hotel del Coronado illuminated by moonlight and all lit up inside like a Thomas Kinkade dwelling. Here are eight tidbits about Hotel del Coronado, which opened in 1887 and is located in Coronado, California (near San Diego). It is the second largest wooden structure in the United States, behind only the Tillamook Air Museum in Oregon. The hotel's Crown Room, designed by architect James W. Reid, has a wooden ceiling that was installed with pegs and glue — and not a single nail. 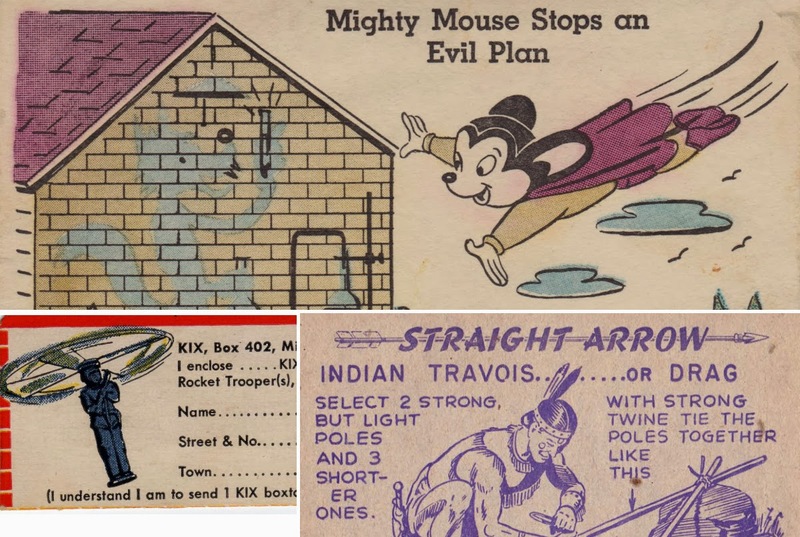 The original amenities included an Olympic-sized salt-water pool, tennis courts, a Japanese tea garden, an ostrich farm, billiards, bowling alleys, hunting expeditions, and deep sea fishing. When Hotel del Coronado opened, electricity was still a novelty. The hotel itself supplied electricity to the city of Coronado. Other technological leaps forward, according to the hotel's website, included "steam-powered hydraulic elevators (among the first in the country), a state-of-the-art fire sprinkler system, and telephone service." Notable guests have included Thomas Edison, L. Frank Baum, Charlie Chaplin, Vincent Price, Babe Ruth, James Stewart, Brad Pitt and Madonna. Baum did much of his writing at the hotel, and the hotel itself inspired books and stories by Ambrose Bierce, Richard Matheson and Stephen King. The hotel has also been featured in more than a dozen movies, the most famous of which is Some Like It Hot. During a three-month stay at the hotel in 1892, a girl named Noel wrote a series of letters describing her experiences. The letters were accompanied by watercolors done by Noel's governess. The letters and watercolors were collected in a recent book titled "The Loveliest Hotel You Can Imagine." As is the case with most buildings that are more than a century old, the Coronado has its share of ghost stories. The moust famous one involves Kate Morgan. Among the many articles discussing that spectral mystery is this February 2013 piece from San Diego Reader. Greetings on this Nos Calan Gaeaf.1 This is our black cat, Mr. Bill, who helps us with our Halloween decorating each year. 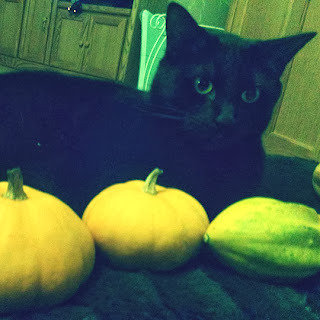 Last night, he was kind enough to sit for a photo shoot with some gourds. He probably thought that it was an acceptable accommodation, especially compared to a few years ago, when I made him a temporary prop in my scarecrow/hay bale costume. In the, ahem, spirit of the day, here are a few spooky-themed pieces for your enjoyment. This is issue #8, from April 1994, of Dark Terrors, a magazine that focused on the history of Hammer horror films. According to www.moviemags.com, only 18 issues were published. An Interview with Barbara Shelley: Hammer Scream Queen says fangs for the memories! Ray Harryhausen: Mike Hankin looks at the work of this special effects wizard on One Millions Years B.C. 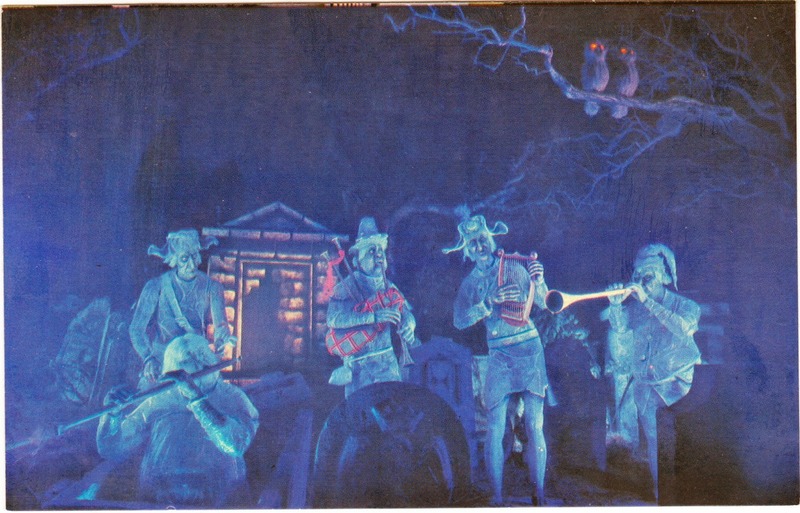 "Spirited Spooks play medieval melodies"
This undated postcard (early 1970s?) shows one of the scenes within the Haunted Mansion at Disneyland in California. The famous dark ride opened in August 1969. "Crypt doors creak and tombstones quake to the rhythm of a haunting refrain. Spirited Spooks play medieval melodies for graveyard guests as all do the dance macabre in Disneyland's Haunted Mansion." 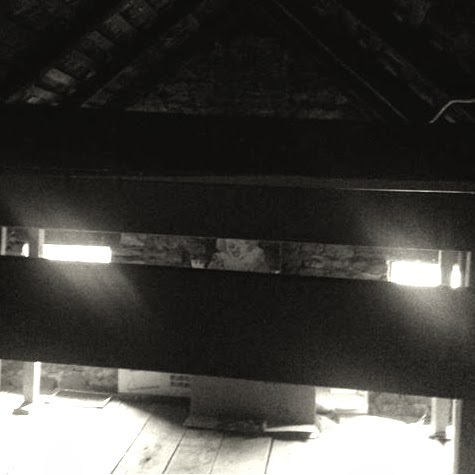 Snapshot taken earlier this year in a friend's attic. It's a wonder I made it out alive! 1. In Welsh culture, Calan Gaeaf is the first day of winter, and is observed on November 1. That makes today Nos Calan Gaeaf, which is thought to be a day when spirits are out and about and the living should tread carefully. Of course, none of you is planning anything mischievous tonight or tomorrow, right? RIGHT? 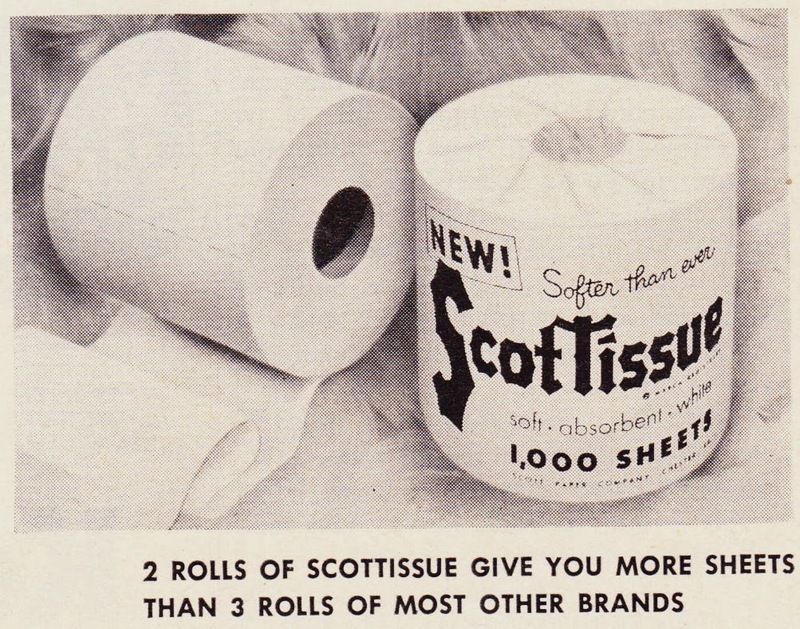 This ScotTissue toilet-paper advertisement was featured in the April 1953 issue of Woman's Day magazine. It promises greater softness and greater whiteness with its "water-woven" technology that employs only "pure 'white' pulp." And all of that at no increase in price. I tried to find some information about the cultural history of toilet-papering as a prank.1 But, beyond mentioning The Rocky Horror Picture Show and a few other tidbits, Wikipedia doesn't have much to say on the matter. Now, Mischief Night2 in its various incarnations has existed since the 18th century, but I don't now when the TPing trend first began to, ahem, unravel. 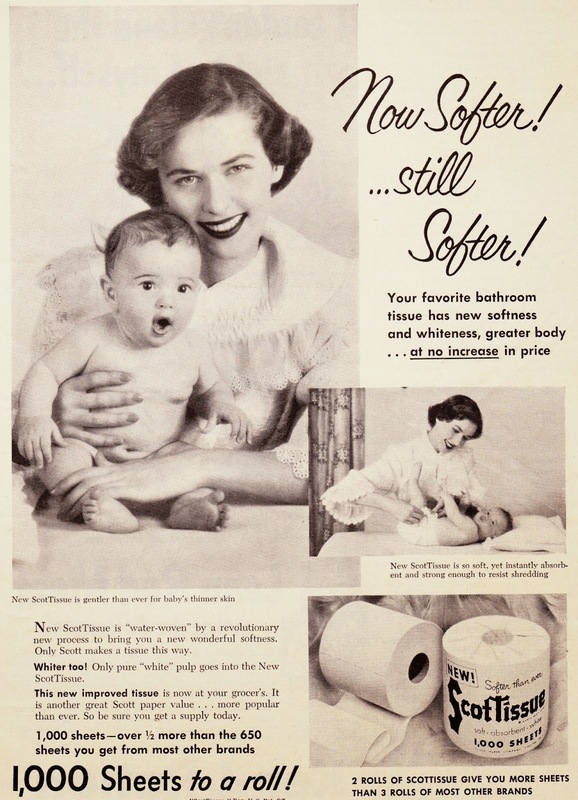 So, lacking any further information on that topic, if you're interested in the history of toilet paper itself, here is The United Colon Vlog presenting "From corncobs to Charmin: The history of toilet paper." Enjoy! 1. Because that's what I do here, folks. Who else is going to investigate these questions? 2. Mischief Night, which is usually October 30, is also known as Devil's Night, Cabbage Night, Gate Night, Mizzy Night, and Miggy Night. 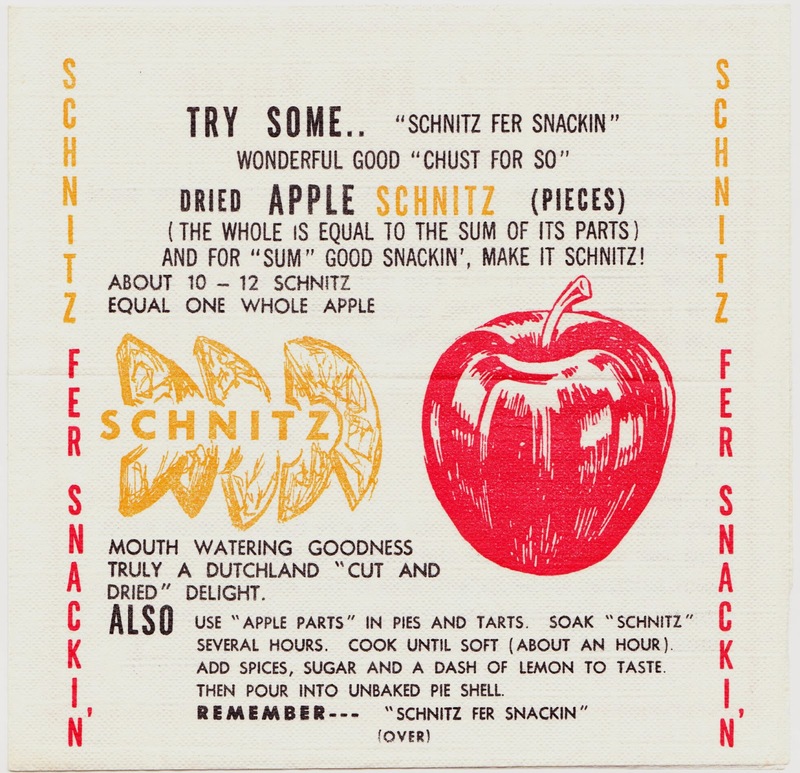 Jim Fahringer recently shared these cereal-premium remembrances on Facebook, and he is graciously allowing me to share them here. I hope they spur some of your own memories, and you that can share them in the comments section.1 Enjoy! Remember the wonderful cereal premiums that were once included inside the boxes of cereal? I remember the diving submarine which had the little compartment with a metal cap at the bottom which you filled with baking soda and the sub would slowly rise and sink. Another neat premium was the records which were part of the back of the cereal box. You would cut them out and put on your record player and they actually played. Sometimes you had to tape a quarter or other coin onto the cardboard record to keep it flat when it played. Then there were those miniature tin license plates of all the states. I wonder how much cereal was needlessly purchased just to try to amass the complete set of 48 states. Then there were those tin circular medallions of all the major automobile companies. They came complete with two holes that you could put wire or string through and many of us attached them to our bikes. In the late 1950s, when cats-eye marbles first came out, one of the cereal companies included a little cellophane roll full of about four or five of these marbles. Oh, and don't forget the high-quality graphic masks on the back of some of the cereal boxes. We would cut them out and wear the mask. You could also save several cereal box tops and send a quarter to a dollar for some special premiums. One of the most interesting was for all of us who watched "Sergeant Preston of the Yukon." If you sent in a box top or maybe it was more, and $1 you could own one square inch of the Yukon Territory. We were so excited that we thought we could save up a lot of money and own a large piece of land in the Yukon. But alas, when we received the official looking deed to our one square foot of Yukon Territory it said that this deed had no legal binding ownership of the actual territory. I also remember sending for the three colored navy frogmen (yellow, blue, and red). 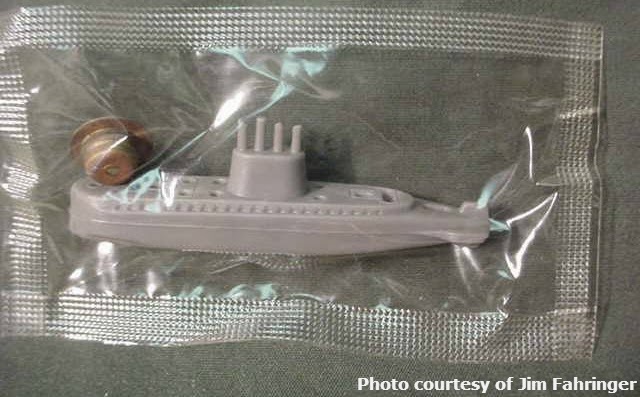 These too, like the diving submarine, had a little compartment on the bottom which you filled with baking soda and covered with the metal cap with a hole in it. The navy frogmen would rise and sink as the baking soda produced gas to move them. There were many other neat cereal premiums. 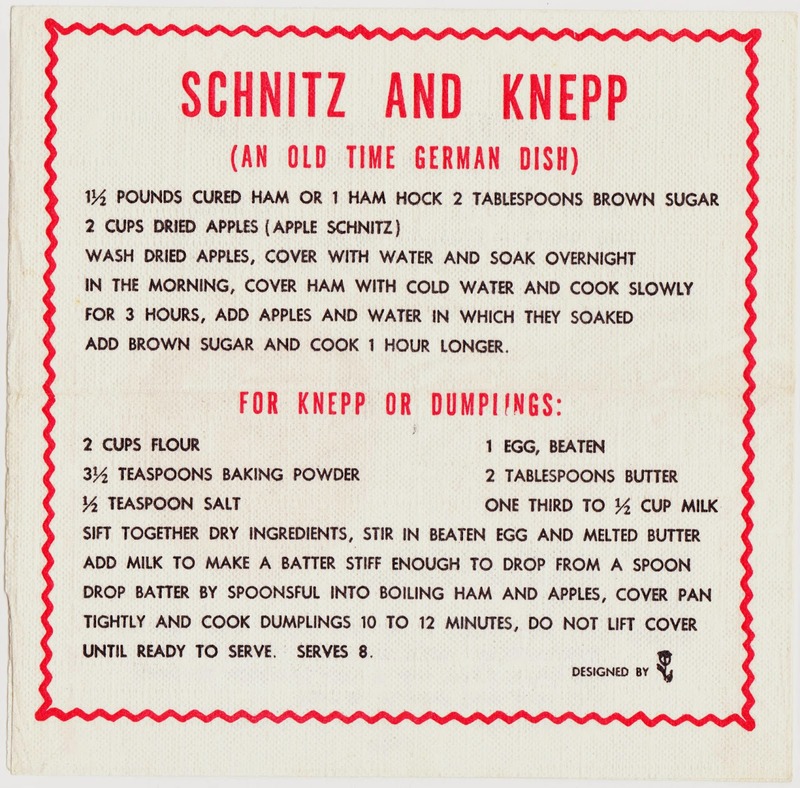 What were some of your favorites? 1. In previous posts, Fahringer has discussed QSL cards and stamp collecting. Great links: Which movies gave you the biggest fright? It's the witching hour, so let's talk scary movies for a moment. Over at the Final Girl blog, Stacie Ponder asked last month for readers to submit their lists on the topic of "Which Ten Horror Movies Have Scared You The Most?" The submissions were tallied, and Final Girl is presenting a countdown of the 323 scare-fests that received votes this month for Shocktober. The list just moved into the Top 50 on Sunday as it heads into the Halloween home stretch. The point of the fun exercise wasn't to select the classic movies of the genre or the best ones or even personal favorites. The question was simply: Which movies gave you the biggest fright? Within that context, most of my selections involve movies I first saw as an impressionable wee lad. And so most, but not all, are movies from the 1970s. Here's a thumbnail look at my ten picks.1 Can you guess all of them without reading ahead? Jack and the Beanstalk (1974) — Pictured is Madame Hecuba2, the primary villain in this freaky animated film from Japan. It's the decided creepiness of Hecuba and the soundtrack that made this an unexpected horror film masquerading as a Disneyesque fairy tale for kiddies. For further discussion, check out this Post Modern Trashaeology review. The Last Man on Earth (1964) — I first saw this Vincent Price-led adaptation of Richard Matheson's I Am Legend as a kid, and it may well have been my first zombie movie.3 Now, it's just a family favorite, and was Sarah's introduction to one of her favorite actors.4 It can still creep me out, though, especially when the creatures surround Price's house, calling out "Morgan!" Salem's Lot (1979) — I didn't have to rank the movies on my list for Final Girl. 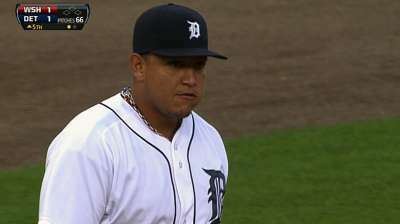 But, if I had, this might be #1. Most of this Stephen King adaptation is forever burned into my brain, and there are too many memorable scenes to begin recounting them all. Over the years, though, I've become more and more fond of Geoffrey Lewis' work as Mike Ryerson.5 And this movie was made for television. Children Shouldn't Play with Dead Things (1973) — This extremely-low-budget zombie film was directed by Bob Clark, who somehow went on to direct both Porky's and A Christmas Story. The star is Alan Ormsby (pictured in the thumbnail), who would have to be in the running for Most Unlikable Character in a Zombie Film, if anyone did rankings for such a thing. This movie, though extremely gory, was shown often on the afternoon matinee in the late 1970s, which made it unfortunately easily to stumble across when you were just looking for a Gamera or Bela Lugosi movie. The Sentinel (1977) — A terrifying and unnerving horror film, even today. And it includes perhaps the creepiest birthday party for a cat in movie history. One note: The TV edit (how I originally experienced the film) is the best version of the movie, in my opinion. The theatrical cut has too much gore, too many shots of the "demons" at the end and, ummm, too much Beverly D'Angelo. The TV version leaves more to the imagination, which is the better way to go. The Changeling (1980) — What a wonderful haunted-house movie. No blood, knives, clowns, fangs or demons needed to induce chills. All you need to scare the audience, in fact, is a little red ball. Also, tape-recorder scenes are always guaranteed to provide great moments in horror movies. Remind me to include a tape-recorder scene when I write my first horror screenplay. 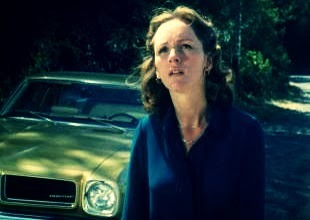 OK, so there are my midnight horror-movie ramblings. That should be sufficient to tide me over until next October. But, Chris, there's nothing about ephemera or books in this blog post, you exclaim. We came here for bookish things, not vampires! 1. My #11 movie, which was very difficult for me to keep off the list, is Poltergeist. Honestly, it is scarier than a couple of my more-obscure choices, but I wanted to stay away from having too many mainstream selections. I'm sure the clown will come get me as revenge for leaving his movie off the list. 2. Madame Hecuba, quite improbably, has her own Facebook page. 3. Without going off on a thesis-length tangent, suffice to say that the creatures in both the source novel and the 1964 movie are vampire-zombie hybrids who act much more like The Walking Dead than Dracula. And, in fact, both were major influences on the development of our modern notion of zombies. George Romero has often said that The Last Man on Earth was one of his inspirations for Night of the Living Dead. "In the movie, the paintings were destroyed by fire when the 'house' burnt down. The paintings were covered in a fire proof gel that prevented any damage to them, so they actually did not burn. ... [Director] Roger Corman gave these paintings to the cast and crew when production was finished." 5. Also, hats off to Salem's Lot for including a spot for minor horror icon Elisha Cook Jr. Also also, I love that two key actors (Ed Flanders, Bonnie Bartlett) went on to starring roles in St. Elsewhere. 6. 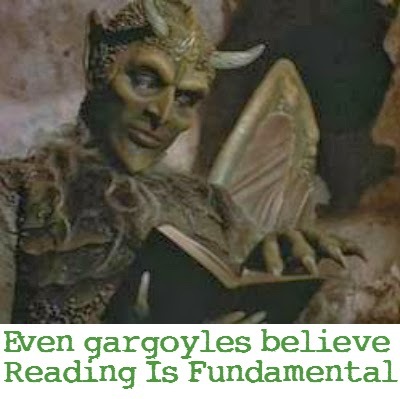 Enjoy this Gargoyles GIF. You're welcome. 7. No spoilers from me on this one. If you haven't seen Session 9 and love horror movies, seek it out. 8. At least we have this: In 2006, Halloween was selected for preservation in the United States National Film Registry by the Library of Congress as being "culturally, historically, or aesthetically significant." 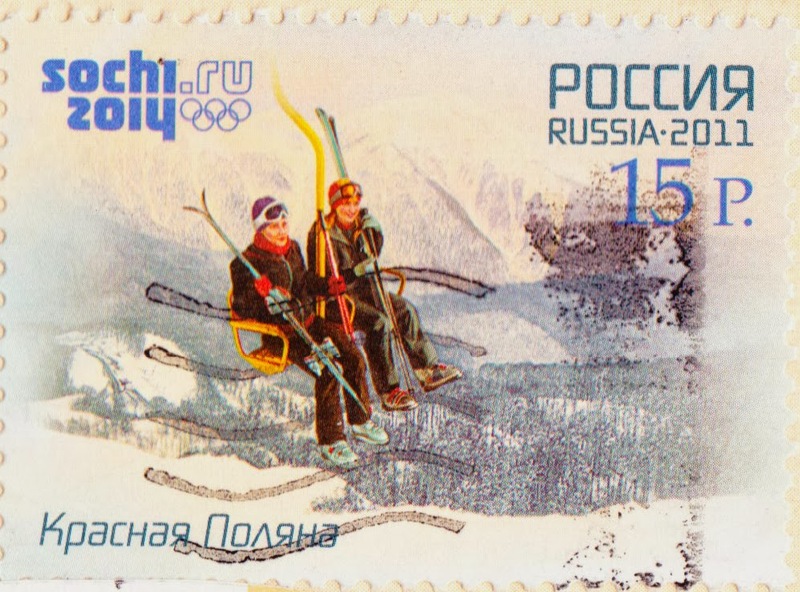 "Krasnaya Polyana is the only ski resort at the Black Sea coast. Its popularity is to a considerable degree due to the location and the climate, special snow structure and the forming mountain mass terrain." 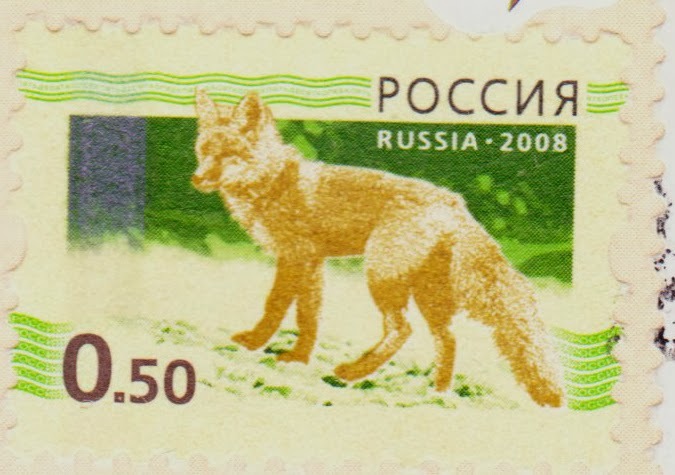 The postcard also has a 2008 stamp of a fox. I wonder what it would say?